Frustrated with the hyper-competitive Manhattan apartment hunt? Crossing the Hudson River may be the answer. In this week’s Buy Curious, Halstead Property agent Dale Fior explains what you’ll get in Jersey City. Q. My wife and I have been searching for months for a family-friendly two-bedroom in Manhattan or Brooklyn within our budget of $1 million. We've been outbid on everything decent, so now we're considering expanding our search to Jersey City. What can we expect to find? Though Jersey City is an old community and a former shipping hub, in the last 10 to 15 years, the entire waterfront has been rebuilt, with newcomers refurbishing turn-of-the-century homes, and developers building brand new condo towers. Areas that used to be filled with warehouses are now residential neighborhoods with loft-style apartments. Still, Jersey City is socio-economically diverse, with blue and white collar residents. (Hoboken, by contrast, is more consistently white collar. )​ And, while it's not on the scale of Manhattan, Jersey City does have a lot of artists, as well as wonderful restaurants like Amelia's Bistro, Skinner's Loft and the authentic French bistro Madame Claude Cafe. It’s possible to get around Jersey City on mass transit, but buying a car may be a wise decision. Some residents like shopping on Routes 3 and 17, as well as at the Short Hills and Garden State malls on the weekends, not to mention excursions to the shore in the summer. Your commute to Midtown will probably be about 30 minutes. Jersey City is the second largest city in the state, and the downtown area stretches roughly from the southern border of Hoboken to Liberty State Park, east of Route 440 to the Hudson River. The two priciest parts of downtown are Paulus Hook and Hamilton Park. 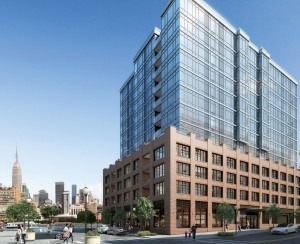 In Paulus Hook, which is about half a mile across the river from the World Trade Center, you’ll find a lot of new development along the waterfront and around the Exchange Place PATH station, mixed with traditional turn-of-the-century architecture. In Hamilton Park, however, you’ll find mostly historic homes. Between the two lies the burgeoning Powerhouse Arts District, which attracts homebuyers with a more artistic mindset. 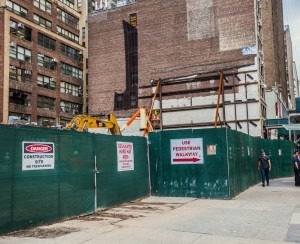 The same can be said of the neighboring Grove Street area, which is experiencing a renaissance, thanks to its proximity to an eponymous PATH station with easy access to Manhattan. While it may have been considered marginal five years ago, now many New Yorkers I’ve worked with are interested in this neighborhood, since it’s more affordable (see below) and is still an easy trip to Manhattan. Like Manhattan, prices in downtown Jersey City are climbing, particularly in the neighborhoods mentioned above. In Paulus Hook, prices have surpassed $700 a square foot, or just over $1 million for a 1,500-square-foot apartment, while Hamilton Park prices are closer to $650 a square foot, and you can buy in Grove Street for $600 a square foot. Also like Manhattan, there have been very few apartments or houses available to buy over the last year. Currently, only 78 condos and four townhouses are on the market. (Co-ops are few and far between in Jersey City. I find that some New Yorkers who come to New Jersey are looking to get away from co-op ownership for the same reasons they are less desirable in New York, namely the board approval process and the extra restrictions on subletting and the like.) In 2014, I sold five apartments at Liberty View, a condo building at 126 Dudley Street in Paulus Hook, and every one had multiple offers that resulted in bidding wars. That said, your $1 million will go a lot farther than in Manhattan or Brooklyn. 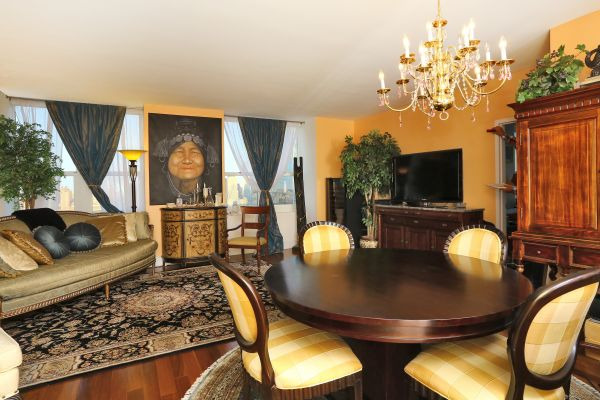 You can expect to get a two-bedroom, two-bathroom condo, measuring about 1,100 to 1,300 square feet, in an elevator building with a parking spot in one of the more upscale parts of Jersey City. A similar three-bedroom would be well over $1 million, particularly on the waterfront, though you could find a place with three bedrooms in an older walk-up building. You could also shop closer to Hoboken, such as at the Newport Towers in Pavonia/Newport, a section of Jersey City that was redeveloped in the 1990s and is close to the Pavonia/Newport PATH Station and the Newport Mall. As mentioned above, only a few townhouses are available, and anything for $1 million will need some TLC. It may also be on a shallower lot in a less desirable neighborhood. A turnkey home in Hamilton Park or Paulus Hook is likely to cost $1.5 million and up. Powerhouse Arts District two-bedroom/two-bathroom condo for $830,000: This 1,364-square-foot apartment has an open plan kitchen with stainless steel appliances in an elevator building with a doorman. Hamilton Park two-bedroom/two-bathroom townhouse for $950,000: If a Victorian brownstone is more your style, this one comes with original mantles and medallions and a patio garden. But it needs some work, per the listing. Pavonia/Newport two-bedroom/two-bathroom condo for $844,000: On the less expensive side, this apartment comes with a washer/dryer, balcony and parking spot. Bonus: the building has indoor and outdoor children's play areas. 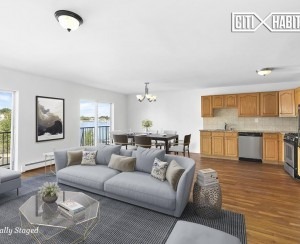 Paulus Hook two-bedroom/two-bathroom condo for $1.275 million: This option is pricey, but it comes with a parking space, and it's in 77 Hudson, a newish development with kid-friendly perks (rooftop pool, landscaped park, cinema and more) a stone's throw from the PATH train.